We consume a lot of smoothies in this household. Really, a lot! Half of our freezer is filled with frozen fruit and we buy at least three bunches of bananas a week, never mind the kilograms of superfood powders, nuts, seeds and medjool dates. But then there are five of us, which makes huge amounts of these ingredients dissappear before we get through half of the week. Add the coconut milk to your blender cup and then add the frozen berries. I use the measurements on the side of the cup which means I don’t have to wash the measuring cups! Add the rest of ingredients and blend until smooth. Serve immediately. The night before you want this smoothie, peel and slice your banana and place in the freezer. The next morning, add these along with the other ingredients into your blender and blend until smooth. Serve immediately. 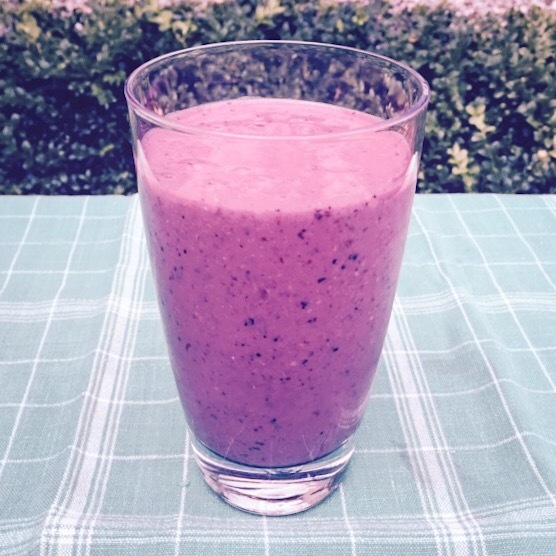 Note – you can use unfrozen banana of course, your smoothie will just be less thick! Add a couple of medjool dates to make your smoothie a little sweeter. Almond butter (or any other nut butter) is great for bulking up your smoothie and adding protein – something I sometimes worry about my kids getting enough of. Green! Adding a handful of spinach to your smoothie is a great way to add some greens without a strong taste. Especially great if you are trying to sneak some greens into your kids (or you for that matter)! Thick or thin? If you want your smoothie thicker just add more frozen fruit, frozen coconut milk (you can freeze any recipe leftover coconut milk in ice cube trays for this) or ice cubes. Alternatively add more nut milk, coconut water, juice or swap for fresh fruit to make your smoothie thinner. Getting hungry before lunch? 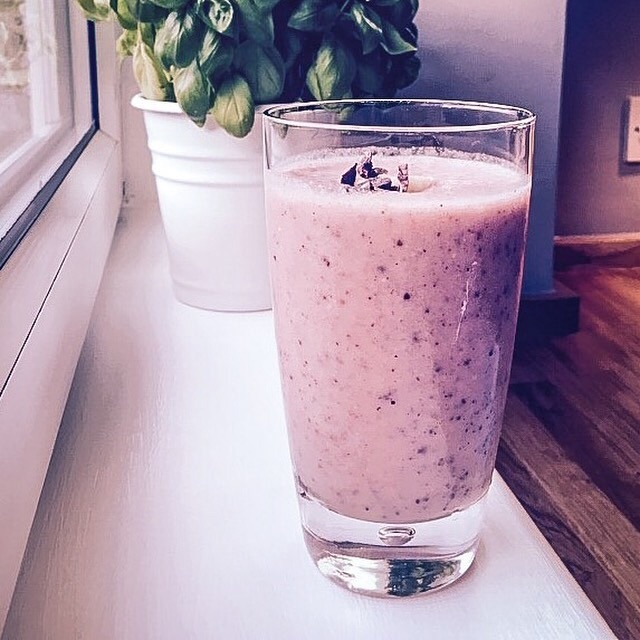 Adding chia seeds, flax or oats will help bulk up your smoothie, keeping you full for longer. Not to mention they are a great source of fibre. Boost your smoothie! Add in any superfood powders to enjoy the added vitamins and benefits these great foods offer. Lady, I gotta tell you: making almond milk is dead easy. The only time-consuming part is the soak and that’s hands off!